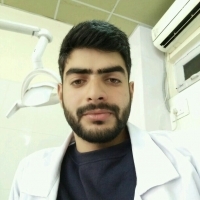 I am dentist with a wide range of experience in handling patients and good hold on the Oral Diagnostic Medicine and Radiology. I have published some Papers on Colgate forum. I have underwent the Certificate Training and Hands-on Program of Implantology. I am a Regular member of CE program of Colgate Professionals. – Nat*** Lee Welz, Dayton, United States. – Kat*, Marietta, United States. – Zoe*, Bridgeport, United States. – Sam, Champaign, United States.